Log is a stool made out of laminated oak vaneer. 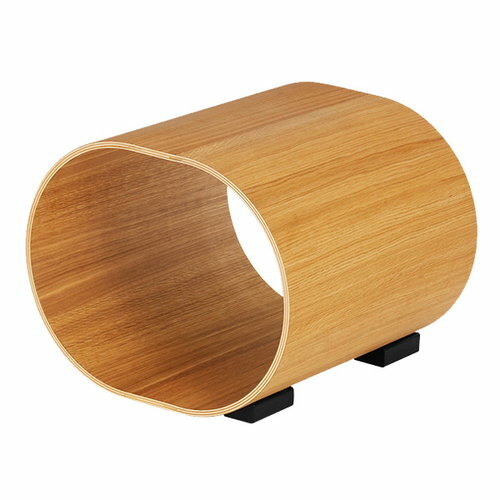 There is a support feet in black stained solid wood that keeps the stool in place. The Log is designed by Naoto Fukasawa. Naoto Fukasawa (b. 1956) is a Japanese designer. He graduated from the Tama Art University in 1980 and worked as a designer for Seiko-Epson until 1988. In 1989 Fukasawa migrated to United States for eight years, working for the design office ID two. Back in Japan, Fukasawa assisted in founding of the IDEO’s Japan office and started his own office, Naoto Fukasawa Design, in 2003. Fukasawa also teaches industrial design in the universities of Musashino and Tama.